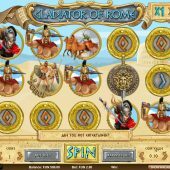 Gladiator of Rome slot is part of the 1X2gaming family and is available on desktop, mobile and tablet. It is a 5 reel video slot, over 3 rows and 20 paylines. The theme, as you might expect, is ancient Rome, when huge crowds would gather in the Colosseum to see the great and good fight to the death in the name of entertainment. It goes without saying that you really want to see more wins coming in during the last 10 spins of the feature. All card symbols change to pictures symbols during the feature, possibly creating bigger winning possibilities. 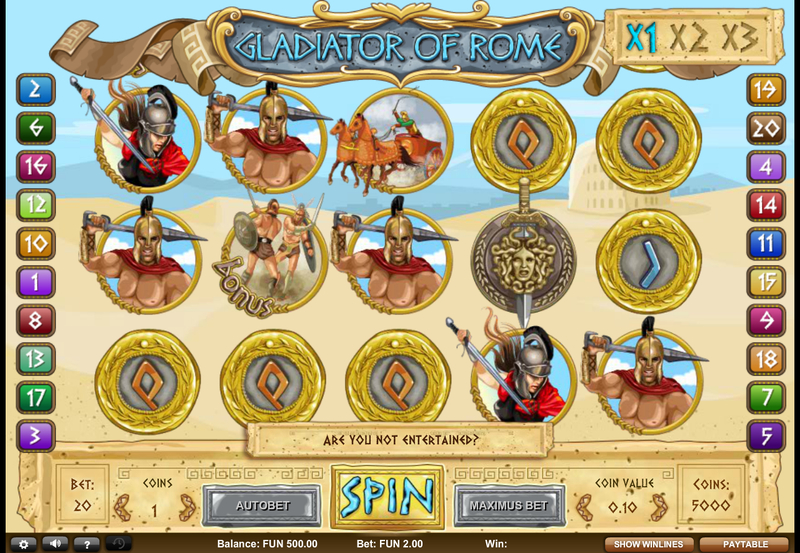 Similar titles include Playtech's excellent Gladiator slot and NextGen's Glorious Empire.